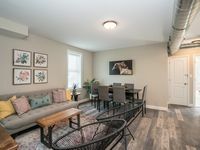 Property 1: Chic & Charming Loft Suite Near STL Zoo! Easy Access to Convention Center Stadium,Zoo /All New Interior. Property 18: Easy Access to Convention Center Stadium,Zoo /All New Interior. Property 21: West County Gem - Easy access to STL attractions! 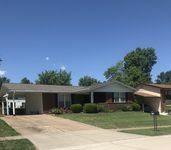 Property 24: Beautiful Villa Close to All St. Louis Attractions! Property 27: Lovely House in Black Jack on 5.3 Gated Acres! Property 29: Luxury Villa Ste A, 1 Mile to Six Flags & Hidden Valley! Property 30: Explore St.Louis on a budget! Simplistic Value! Property 35: Home away from home, come relax and enjoy some peace of mind. Property 38: Charming, Comfortable, Safe South County Home! Bellerive Country Club Convenient PGA Dream Estate. 11 minute drive. Property 39: Bellerive Country Club Convenient PGA Dream Estate. 11 minute drive. Property 41: The Mayors House // Huge manor perfect for corporate events and family reunions! Property 42: Saltwater Pool, Entire Home! Gorgeous 6500 sq. ft. Home, Sleeps 14. Great for Families & Groups! Property 43: Gorgeous 6500 sq. ft. Home, Sleeps 14. Great for Families & Groups! Property 47: Home away from home! We really enjoyed our stay in this loft on the main drag of Maplewood! Restaurants, bars, and grocery store right up the street. Comfortable beds. Enough space for an overnight or two-day week-end trip for four. Great property - comfortable and quiet with great communication from the owner.